Estranghero | Malaya tayong maglakbay. 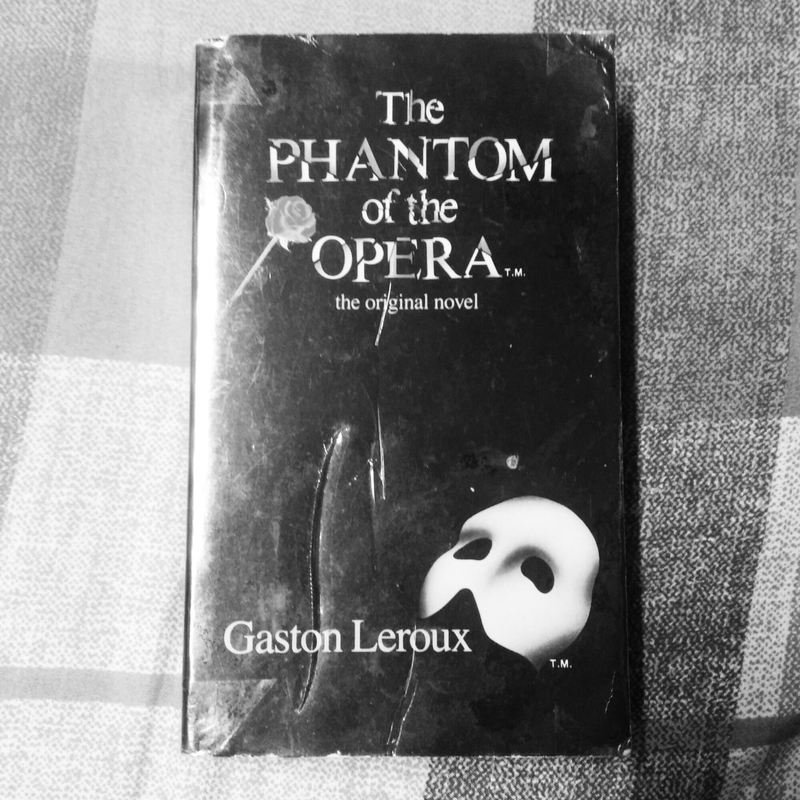 Ang mundo'y isang malaking palaruan. 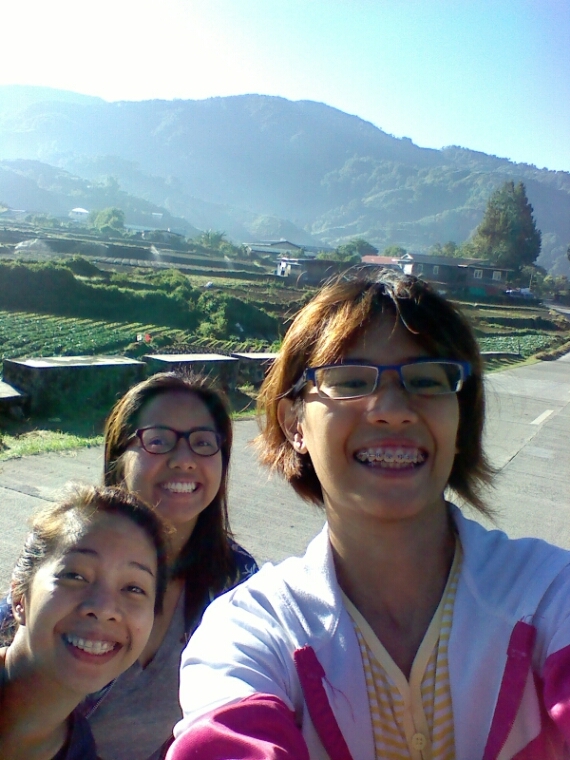 It was an approximately 3-hour trip away from the city of Baguio. The town of Buguias, Benguet meant passing through zigzag roads, which I called a trip to Mount K to 12, because it’s spiraling. JK. It was a trip that made me excited—first, because it’s far from the city proper, and second, I’ve always been curious about Buguias. I had a lot of oooh’s and aaah’s while marveling at the majestic sight, the van just moving up at the side of the mountainous terrain. I have lived in Baguio for almost five years and I’ve never seen such wonderful part of the province. somewhere up the road, wooo! I have been familiar with the name of the place because of my co-workers who used to come there for their mission trips some years back. The travel used to be 8 hours long, and I was quite surprised that our trip (hello, 2015!) was less than half of it. Their trips were conducted by churches—no wonder that when you look around the towns going to Buguias, you could see a lot of Christian churches. With regards to the town’s climate, it was a little cooler than it had been in Baguio, probably because it’s summer. But, what the heck, I appreciate the scenery and the cool breeze. In Baguio, what you see nowadays is a “colder” version of Metro Manila—structure after structure after structure. So, going back, the real purpose of our class visit was to conduct a seminar about the K to 12 curriculum and Mother Tongue-Based Multi-Lingual Education (MTB-MLE) to parents of the students in Loo Elementary School. The natives of Loo speaks Kankana-ey, a traditional language of the region. It is completely different from Ilocano which is widely spoken in Baguio, although they sound similar, and speakers of each language can understand each other. The seminar, or I should say the talk, was lead by my professsor, Teacher Ched’s other class. I personally enjoyed the talk and I admit that it was one of the discussions on K to 12 and MTB-MLE that I understood well. Maybe because most seminars I’ve attended about these were dedicated for teachers—words come in big and too intellectual, while the one we had at Loo was light, easy to comprehend and every one can relate to because the guests were parents who, we must admit, are part of the education system. Before the K to 12 talk, small groups were formed and we were assigned to take the parents’ questions and thoughts about the topic. Their questions were interesting. 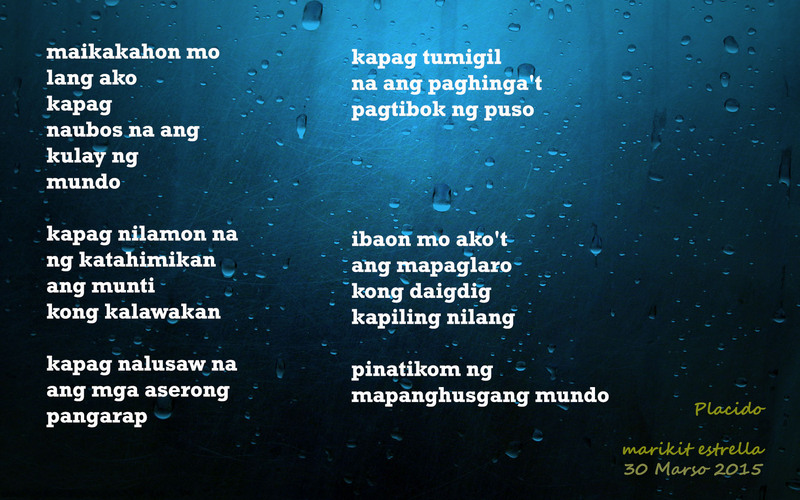 Most of them had the same thoughts: “Gastos na naman ‘yan. (It will be expensive),” “Sigurado bang may trabaho ang anak ko ‘pag nakatapos? (Will my child be assured of a job once he finishes K to 12? )” These are valid parents’ concerns. See, they are the ones who send their kids to school. One question from our small group caught my attention and I agree: “Bakit pinapatanggal ng mga senador ang K to 12, e, sila naman ang nagpatupad niyan? Naguguluhan kami.” (Why do the senators want to abolish K to 12 when they were the ones who approved it?) Really, why? Maybe, they are not ready to finish anything. Wild guess. A student will not be considered a high school graduate unless he finishes the whole course until Grade 12. He may opt not to continue after Grade 10 or Fourth Year high school but he will only be awarded an NC-I certificate. This is recognized by TESDA and may be used for employment when required. Otherwise, he finishes Grade 12, get an NC-II certificate, and a high school diploma. In public schools, like in Loo where we had been, the so-called tracks are offered in a particular school in the same town and they will learn for free. The students can continue studying without moving to another town. My personal question is, how about those in private school? Their parents will surely have additional expenses, which causes their rants and nonsupport of the new curriculum. Grades 11 to 12 offers eight tracks, or simply the career path they want to pursue. One who wants to be a biologist for example can choose to enroll in the academics track and continue the path until college. One who is passionate about sports can take the athletics track. All eight tracks are meant to lead the students to what they want to pursue in their future career. If the GE courses in First Year college will be taken up in Grades 11 and 12, the usual four-year course in college is supposed to be shortened to just three years. But with this, the Education department haven’t really planned what happens next. So, what do you think? Is it a good thing or a bad thing? For me, we can give it a try but as long as the Department of Education (DepEd) has no concrete plans and implementations, I am just as confused. As I’ve mentioned earlier, Kankana-ey is the native language, or mother tongue of the people in Loo. The new K to 12 curriculum includes teaching in mother tongue for Kindergarten to Grade 3 levels because according to studies, teaching in one’s mother tongue improves the learning style of the students. DepEd has specified 19 mother tongue languages to be used as medium for teaching across the Philippines. Unfortunately, Kankana-ey is not one of those. Mrs. Hermie Osting, principal of Loo Elementary School initiated efforts to keep their mother tongue alive by using this in their school. With her team, they made materials in their language, including grammar guides and had it checked by DepEd (?). Her initiative was not in vain. The school has been allowed to use their language as medium. People in the Northern part of the Cordilleras can speak Ilocano, Kankana-ey, Filipino and English (and I’m not sure about the most northern parts). If the school in that area will only teach in either Filipino or English which is supposedly a second language only, the students will be confused when talking and relating to other people in their place. Studies have shown that children learn language easily. If you teach them in mother tongue, which is spoken at home, code-switching or translation becomes easier. Also, the children can understand well the lessons and can even comprehend the discussion when the teacher talks in their own native language. As a matter of fact, in Teacher Aubrey’s example in her talk, she used a scene from the famous telenovela. When she read it in English, the audience were adamant. Then, she asked volunteers to reenact the scene using Kankana-ey; the audience cheered. Not only is the language contextualized in MTB-MLE, but also the examples and illustrations used in classes. Students can relate and interact more if they discuss about farming instead of fishing, because the former is the industry in their area. By the end of the talks, the parents and the teachers including Mrs. Osting held a meeting for their Brigada Eskwela and some clarifications on what we were promoting, MTB-MLE. They were participatory because they spoke one language. And we, who cannot understand the words, could only nod in agreement. Well, we try to get some clues from what they were talking about. That is, by the way, one technique to learn a new language—just listen. Meanwhile, the class visited a Grade 1 classroom. I was surprised by its setup. The cabinets, chairs, desks—most stuff have names in Filipino/English and Kankana-ey. My visit in a school in Baguio during my NSTP in 2007 did not have something like this then. Charts and bulletins are also posted in their language. 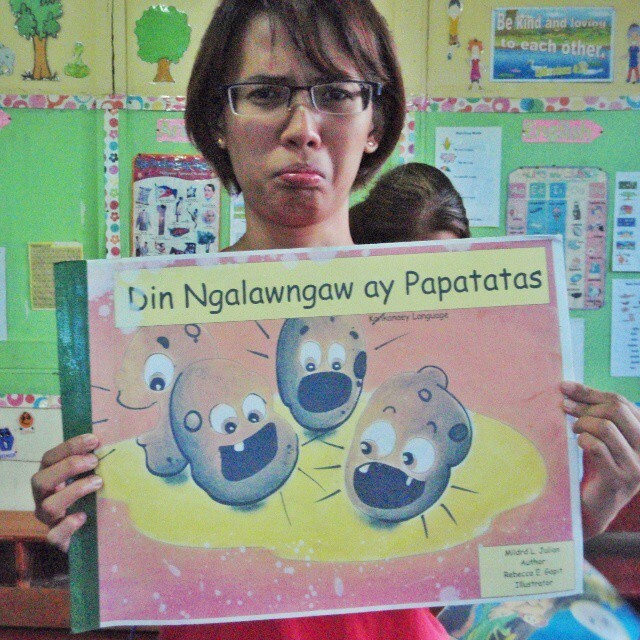 They also have an alphabet setup which is similar to the Marungko Approach (Filipino) but in Kankana-ey. The principal also initiated writing stories as instructional materials in Kankana-ey. They were able to produce about a hundred big books in their language. Subjects of stories were highly contextualized for the young learners. After all the learning we had that day, it was time to rest, eat (the veggies were superb!) and spend the next day for another adventure. Thanks to them, too. I brought home more than five kilos of freshly picked potatoes! At first, you would think that Adam Raki (Hugh Dancy) is simply a geek whose life and brains revolve around the stars, the planets, and everything in the universe. He is like a walking encyclopedia—he talks endlessly about his favorite stuff factually. You would also think that Adam is an extreme introvert. He doesn’t talk a lot with anyone at work, his only friend is Harlan (Frankie Faison). The opening part of the film reveals that Adam’s father had just died, leaving Adam alone in the apartment, making him more isolated from other people. Then comes a new neighbor in the apartment—Beth Buchwald (Rose Byrne). Beth is an only child working as a preschool teacher. Beth is so close with her father that she would see him more than her mother. Hi friends! A very strong typhoon’s reportedly about to hit our country this weekend. It’s Friday night here. According to our Philippine weather bureau, PAGASA, typhoon Hagupit (local name, Ruby) will affect a big part of the country especially Luzon and Visayas. Reports claim that Hagupit (english: to lash) is as strong as typhoon Haiyan (local name, Yolanda). 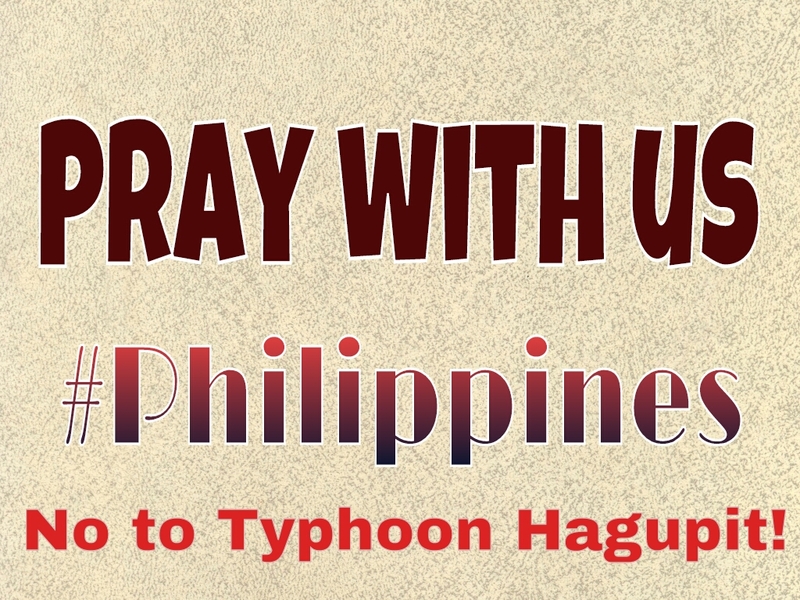 Please pray with us that Hagupit will just stop and leave us in peace. We pray that it will not strike again because it’s gonna affect the people in Visayas. They’re still on the verge of recovery from the tragedies last year. May the Lord’s Hand cover us from this big storm. May He spread His wisdom upon the people that we will know what to do in case of emergencies. We pray that the Lord protect also the countries near us. May God be with us.